Each year at the end of January the SPATA awards take place at the annual British Pool & Hot Tub Awards ceremony, held at the Industry Gala Evening hosted by BISHTA and SPATA during SPATEX www.spatex.co.uk exhibition in United Kingdom. 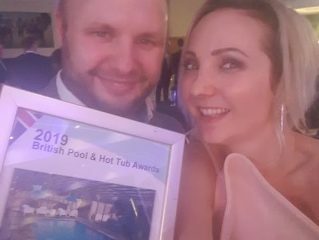 The mission of the British Pool & Hot Tub Awards is to recognise the achievements of the wet leisure industry, by showcasing the best examples of design, construction, installation and innovation. 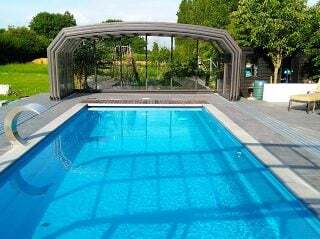 This year Alukov UK together with their trade partner WATERSTREAM won SILVER award with their OCEANIC High enclosure as part of the Residential Outdoor Pool with an Enclosure award. We are really glad that our cooperation with Waterstream went that well!